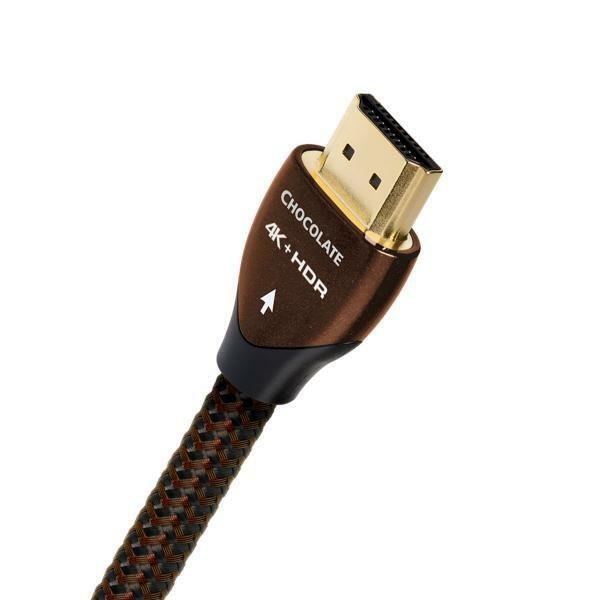 Chocolate HDMI adds 2.5% silver-plating to its predecessors’ solid-core conductors. Like all AudioQuest HDMI cables, Chocolate uses Solid High-Density Polyethylene Insulation and precise geometry. Specific attention has been paid to maximizing the performance of HDMI, and indeed, AudioQuest’s HDMI cables push sonic performance to new levels. Additional Information • AudioQuest HDMI cables up to 10 meters are rated High Speed with Ethernet. • Active frequency-equalization enables 18Gbps over long distances. • Solid conductors eliminate strand-interaction distortion and reduce jitter.